I came to birth work after attending a prenatal visit with a good friend and her Doula. During this meeting, I had one of those moments, a rare moment really, when you realize that the world is telling you something very important. I came home from that meeting with an understanding that the work of a Doula was what I needed to be doing. It encompassed so many aspects of my personality. The caring, nurturing and supportive side, the teacher, educator and life-long learning side, as well as the understanding that there are times when the best thing is to be quiet and just hold the space for someone to have their own personal experience. Each birth is as individual as the person birthing, and each family has desires and dreams and hopes for the birth of their child. As a Doula, I am there to support you and your partner in your desires for your birth. I firmly believe that as a Doula my role is to support both the birthing person and their partner in having the birth that they desire. Through education and information, so that they can make informed choices. Through emotional support, so that they have the confidence to believe in themselves and the choices they make. Through physical comfort measures, so that the experience of childbirth can be more fully enjoyed. I am currently dual certified through both DONA International and CAPPA, and as such I adhere to DONA's Standards of Practice as well as CAPPA's Scope of Practice in the care that I provide. I am dual certified with DONA International and CAPPA and have been supporting families as a Doula since 2012. I have supported over 125 families either in my solo practice or in partnership. 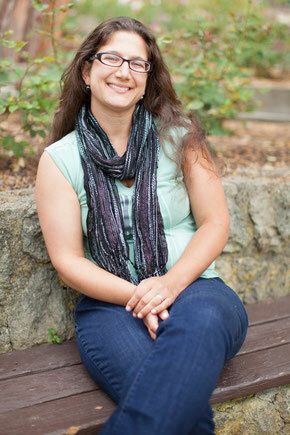 I am a member of the Board of Directors at Birthways, and Coordinator of the Volunteer Doula Program. I am on the Steering Committee and am Membership Coordinator of the Doulas of the East Bay, our local professional organization. I treasure the joyous opportunity to attend the births of new families, and hope that your family will be the next.